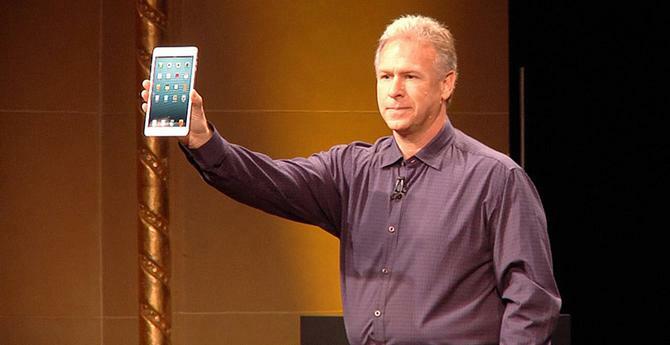 Apple’s Phil Schiller has again topped Forbes’ list of the world’s 50 most influential CMOs for the third year in a row. The Apple marketing chief earned the top spot with a score three times higher than the list’s second most influential CMO, the executive vice-president of advertising, marketing and communications at Ralph Lauren, David Lauren. Rounding out the top five are global CMO for the Chevy brand at General Motors, Tim Mahoney; Ford’s global marketing, sales and services chief, Jim Farley; and Hasbro’s global CMO, John Frascotti. The Most Influential CMO list is produced by Forbes in partnership with analytics vendor, Appinions, and is based on an analysis of CMOs across the top 500 companies on Forbes’ Global 2000 Biggest Public Companies list. CMOs were judged on the impact of their thoughts and opinions through news articles, blogs and social media between 26 July and 14 October 2014. In a statement, Forbes said Schiller’s win was proof of both the broad media interest in Apple, as well as a clear strategy to put his name and opinions in the press continuously. He was one of eight CMOs within the top 50 to register influential opinions and reactions more than twice a week and was given a boost by the recent launch of Apple’s new iPhone 6. The report also noted the bottom half of the top 50 CMOs only registered influential opinions three times per month or less. Technology was the industry most prominent across the top 50 list, accounting for 41 per cent of total influence with six CMOs listed. This was followed by automotive and apparel. The report also looked at the most influential brands across a range of hot topic areas. In advertising and marketing generally, the top five brands were Facebook, Samsung, Google, Apple and Red Bull, while for mobile marketing, top brands were Facebook, Google, yahoo, Twitter and eMarketer. The most influential brands for big data were Amazon, IBM, Splunk, Intel and Verizon, while the most influential CMOs in this category were Amazon’s Ariel Kelman, Verizon’s Ken Dixson, Google’s Lorraine Twohill, AT&T’s David Christopher, and Cisco’s Blair Christie.